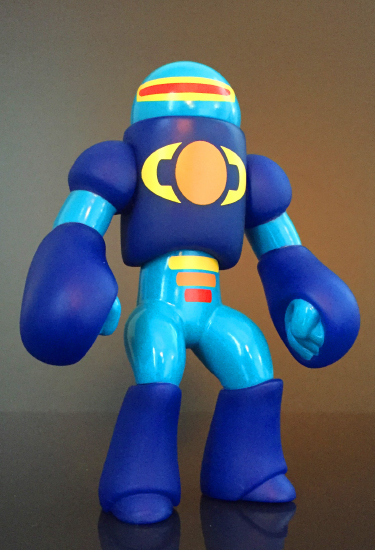 It has been 100 years since the great cosmic robot hero, Galaxxor, was killed. Slain by the dreaded Lord Gorgax with a planet sized weapon known as The Ultimate Nullifier Cannon, the physical being of our robot hero was splintered into 999 shards, each flung to the far reaches of the pocket dimension known as The Alpha. Almost immediately, a glowing green shell formed around the home of The Seven Space Gods, the crystalline planet, Alpha Primarus. Over the past 100 years, Gorgax, his elite cadre of Cyborg Space Barbarian henchmen, and their Evil Mutant Legion has wreaked havoc upon the countless worlds of The Alpha. Some planets have held strong, but others have fallen to darkness and chaos. The neon shell that has surrounded Alpha Primarus has disappeared, and brilliant explosions of cosmic power are appearing at random locations, throughout The Alpha. In places like the giant blue sun, Anubis 5, and the hive world known as "Dragon City", new Galaxxors are appearing. On 08.22.16, the battle begins! It's been a long road to the full realization of this first batch of fully painted Galaxxor figures, from Galaxxor 001 and 007 to that bad, bad dude Gorgax, I'm truly unable to express just how excited I am about how nicely these figures came out. Even the "alt" characters, the Cyborg Space Barbarians Thanyr and Infernicus, and that mysterious entity known as "Roxxalag" blow my mind every time I pick them up and play around with them. Hopefully, these guys are indicators to you of all of the fun and weirdness that we have in store for the future. It's going to be a crazy ride. Thanks for coming along with me! 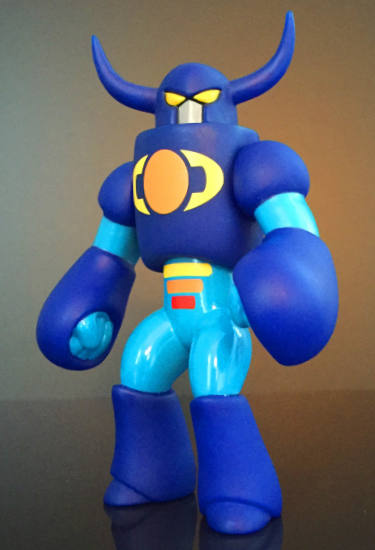 Produced in a reflex blue vinyl, these 5.5" figures feature Glyos vinyl-compatible articulation at the head, shoulders and chest/waist. They sport multiple paint aps and tampo printing. 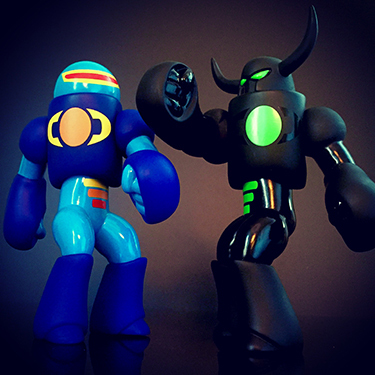 Each figure comes with both the dome(Galaxxor 001) head and the horned(Thanyr/Cyber Space Barbarian) head. 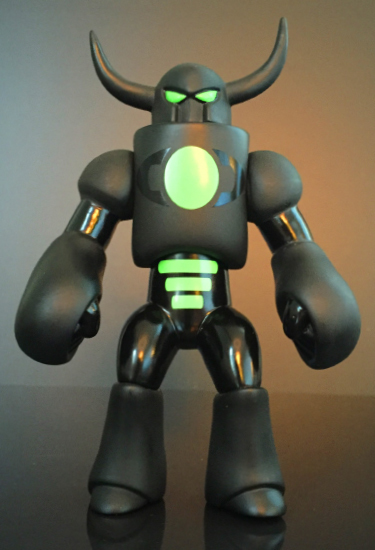 Produced in a black vinyl, these 5.5" figures feature Glyos vinyl-compatible articulation at the head, shoulders and chest/waist. They sport multiple paint aps and tampo printing. Each figure comes with both the dome(Roxxalag) head and the horned(Gorgax/Cyber Space Barbarian) head. 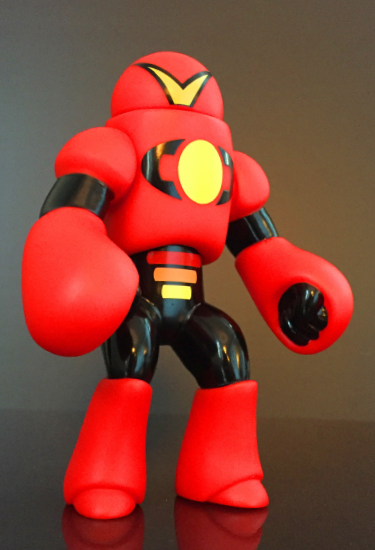 Produced in a red vinyl, these 5.5" figures feature Glyos vinyl-compatible articulation at the head, shoulders and chest/waist. They sport multiple paint aps and tampo printing. 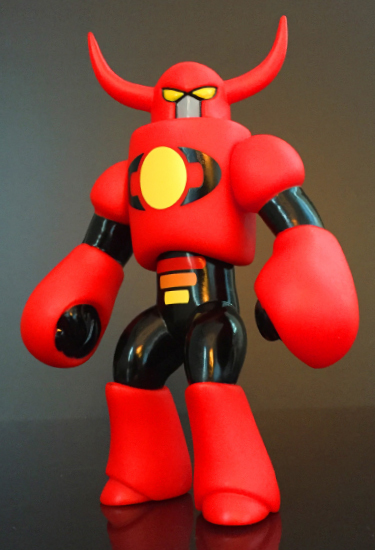 Each figure comes with both the dome(Galaxxor 007) head and the horned(Infernicus/Cyber Space Barbarian) head. All kinds of thanks, once again, goes to Matt Doughty and Marty Hansen, for their invaluable guidance. And Mark Vasquez, for all of his help, behind the scenes. 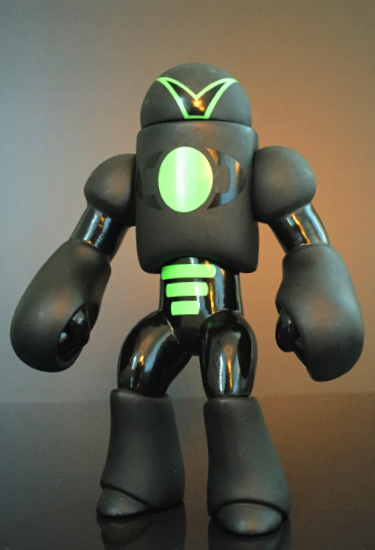 All 3 Galaxxor figures will go on sale Monday night, 08.22.16, 8pm Central at galaxxor.com.